Forever Lovely for Creating Kindness Blog Hop. 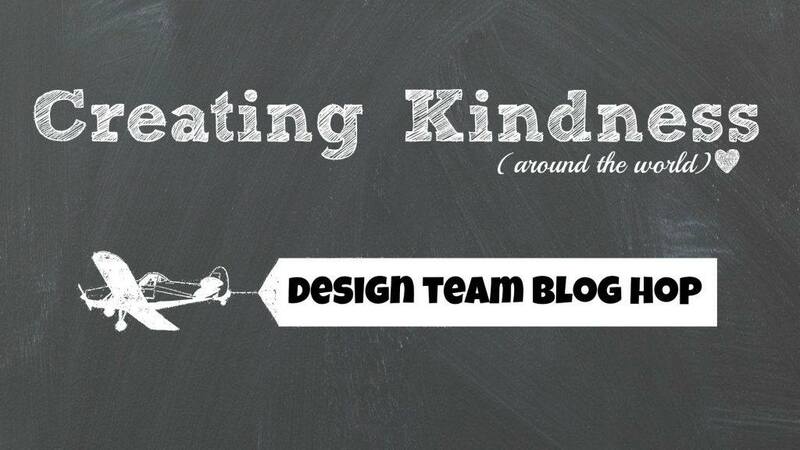 Welcome to the Creating Kindness Design Team Blog Hop for December. The theme of the hop this month is “Seasonal Florals”. 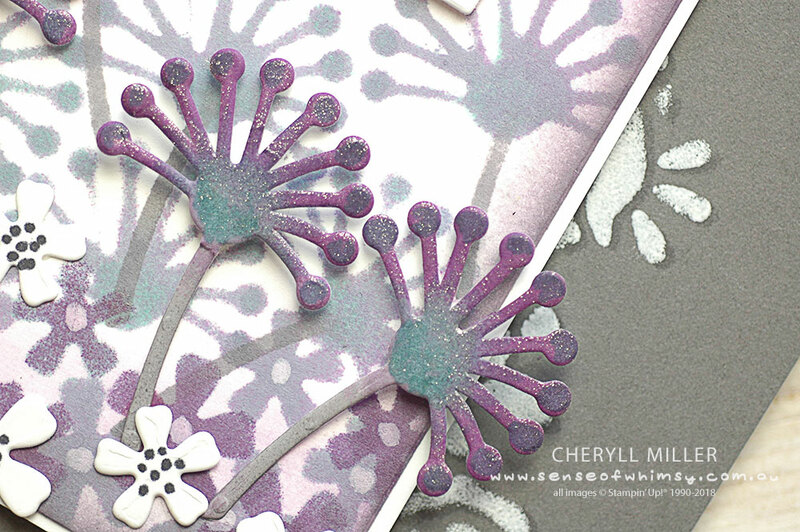 Our guest designer this month is Liz Holloway. Check out Liz’s amazing style on her blog here! In Australia, we have just come into the Summer months. It’s hot! My garden is struggling a little. There are a few hardy florals hanging on. Some White Princess Lillies and a few tenacious white roses. The “blue” Agapanthas are just starting to flower. Agapanthus are considered a bit of a weed here in South Australia, but I love them. They grow tall on long stems and the flower is a grouping of individual smaller flowers. Massed together in white and the “blue” colour, they add lots of summer colour to gardens all over South Australia. In reality, this card is very much like my garden at the moment … a bit of a schemozzle. I went looking for a floral image that looked similar to an Agapanthus. 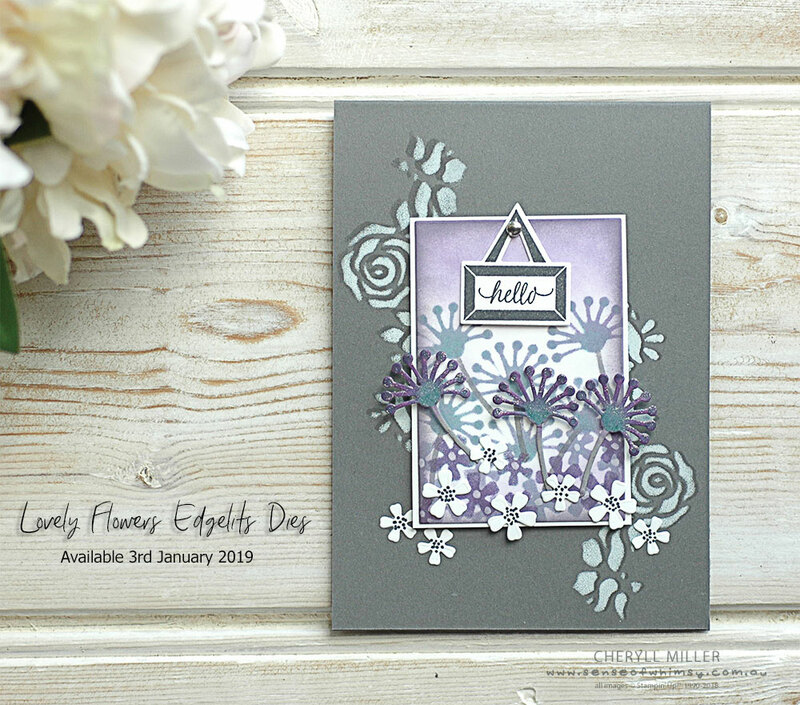 The closest I could find was the Lovely Flowers Edgelits Dies, with the little tufty headed floral die. This is a new product, coming up in the 2019 Occasions Catalogue, so I am sneaking in a little sneak peek. 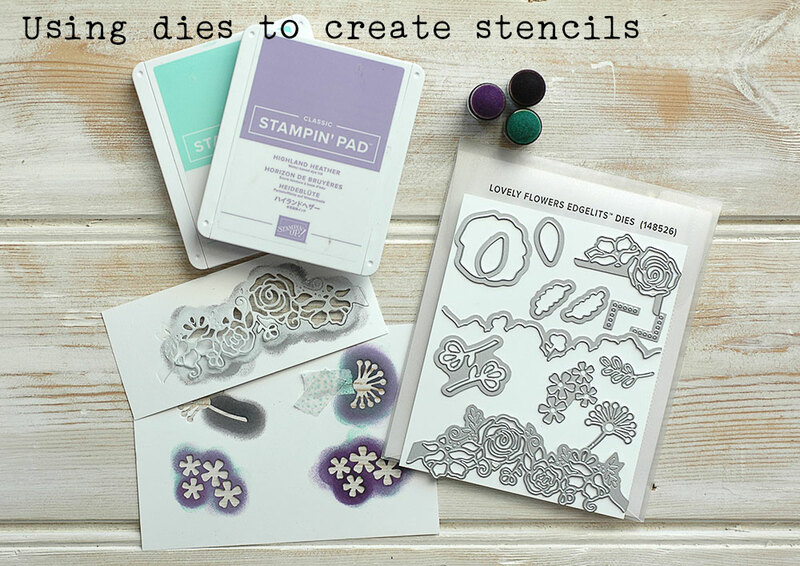 The main floral panel is created by die cutting that little tufty flower and the small five-petalled flowers and using them as a stencil. I mixed Coastal Cabana and Highland Heather inks to try and create the blue of the Agapanthus, but you have to have a very good imagination to see the brilliant “blue/purple” colour in the photo above in my creation! And you might be able to see the white Roses and Princess Lillies in the background over the Basic Gray folded card base. 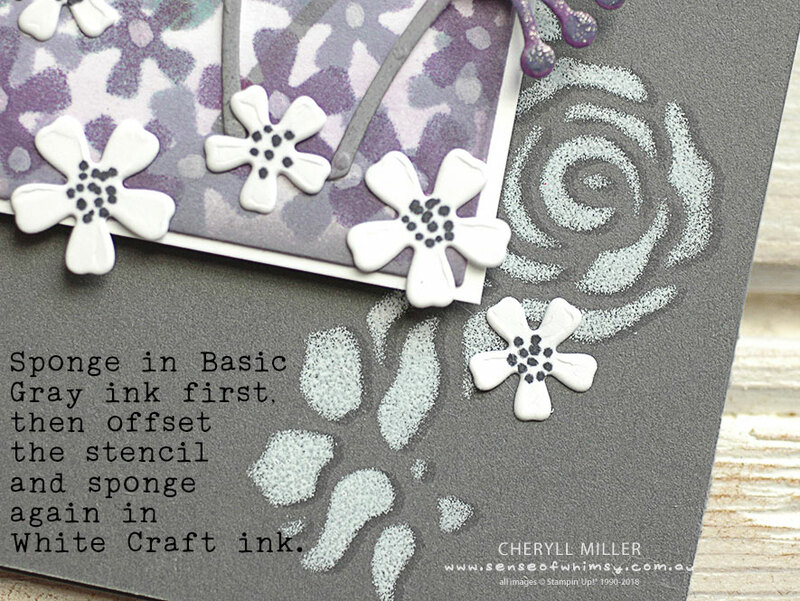 I used the detailed floral die to cut the stencil and then sponged in Basic Gray ink first, offset the stencil a little bit and sponged over the top with Whisper White Craft Ink. It creates a shadow and three dimensional effect. I didn’t waste the actual die cuts. I sponged them up, added a lick of Wink of Stella and popped them up over the top of the messy garden. 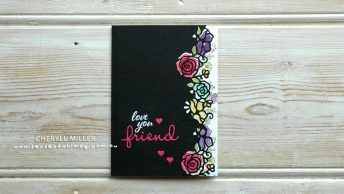 I love the tufty floral die and sponged them in Gorgeous Grape, adding the blue tinge with Bermuda Bay Stampin’ Blends. Wink of Stella adds a little bit of shimmer. 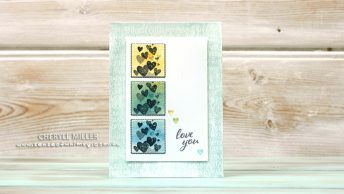 This card is definitely not a #simplestamping contender. I used the little hanging sign greeting from the Barn Door stamp set (die cut with the corresponding die from the Sliding Door Framelits). I am sandwiched between two amazing paper artists today … if you have landed here from Carolynn Sander’s blog, you will already have been wowed by her talent! 🙂 And from here, you absolutely need to head on over to Danielle Bennenk’s (aka Mrs Brightside) blog, who always comes up with something fabulous. 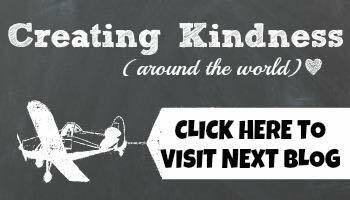 We would love it if you would pop around and check out the blogs. OMG, you’ve really outdone yourself! This is pure art, Cheryll. Love it. 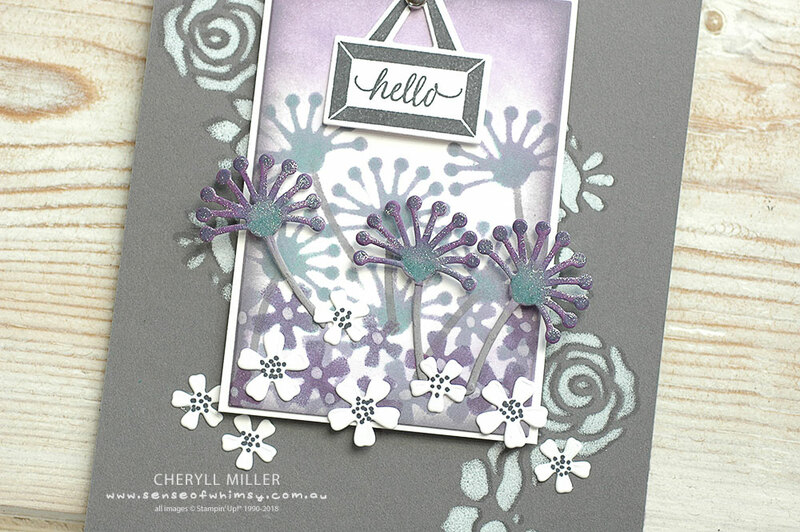 Lovely creation & the colors mixed together just heavenly to create your beautiful card. Good work! Amazing!! Another wonderful creation, Cheryll.